We take you on active holidays! Eiger, Mönch & Jungfrau. 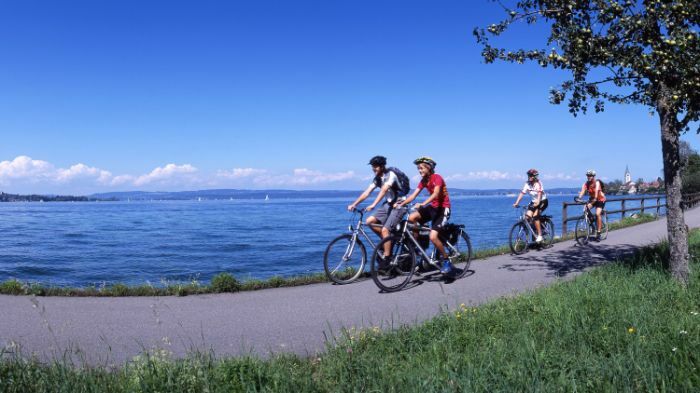 Discover Switzerlands most impressive parts. 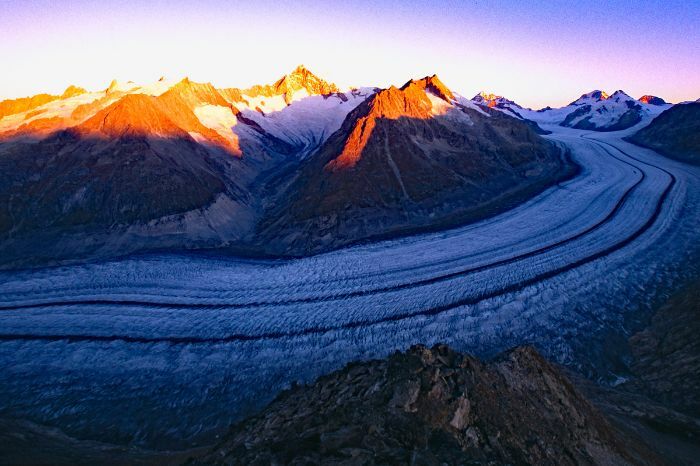 When hiking on the Beartrek you travel a unique route that passes glaciers and spectacular passes. 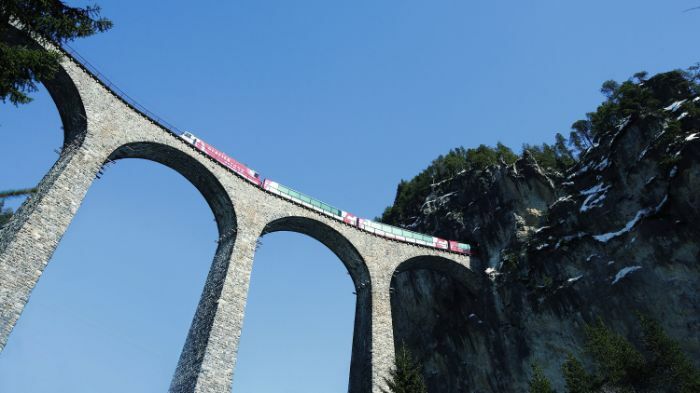 The route "Via Alpina" leads along the three most famous Swiss mountains "Eiger, Mönch and Jungfrau" through valleys and canyons to the well known ski-resort Adelboden-Lenk. Most likely you won't meet any bears on this tour but the route has its namefrom the time when only game could walk these paths. Today the trails are in a very good condition but still this tour is not an easy walk. 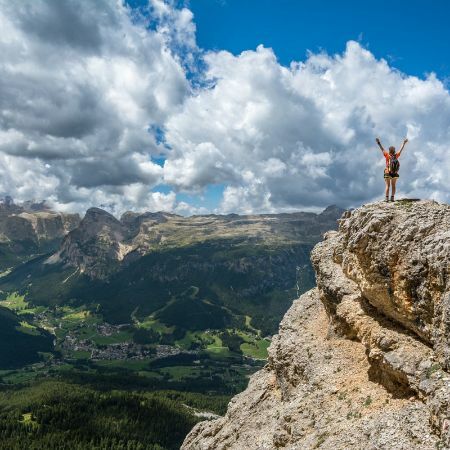 During the course of your hike you reach peaks and summits where the spectacular beauty to the Swiss Alps rewards you for your efforts. Lakes and hills Lucerne is known for the Lions-Monument, the mountain pasture Rigi and the Kappel-bridge. 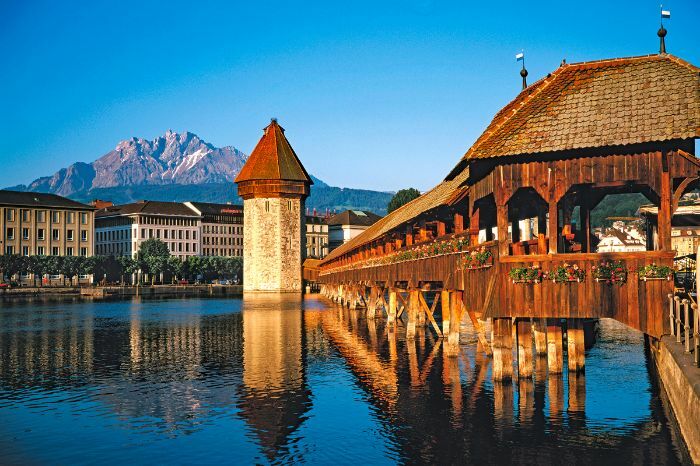 Still, the city has so much more to offer: picturesquely situated on the Lake of Lucerne this city is the gate to the heart of Switzerland, the homeland of Wilhelm Tell and the founding place of the Swiss confederation. 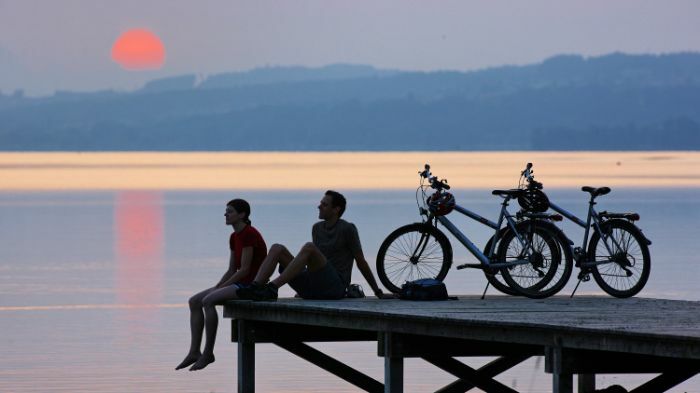 Situated outside of the town centre, Hotel Seeburg is the ideal starting point for bicycle tours in this region. You will discover an idyllic landscape with medieval city centers, Switzerland’s impressive mountain panoramas and beautiful lakes. 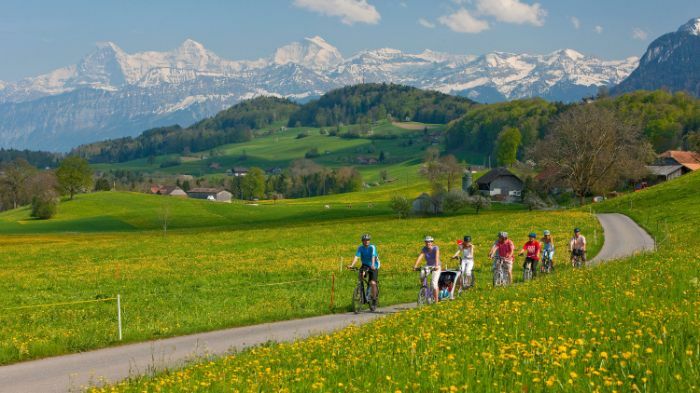 Come and discover the heart of Switzerland – it will amaze you! Active travelling, be it on foot, by bike or in a canoe, is always synonymous with being close to the land and its people. For many of our guests, encounters with the locals and getting an insight into their way of life are among the most beautiful experiences. Therefore, our routes not only take you through fascinating landscapes, but also always lead you to the people who live there. Our accommodations are as personalised as our routes: no impersonal "hotel bunkers"; what we offer are homely and charming accommodations that are full of panache. We always choose them with care and deliberation, keeping the special requirements of active holidaymakers in mind. Where do I go? Thanks to good route material, you will never need to ask this question. Our detailed and well-prepared travel documentation and route descriptions help our guests orient themselves easily while travelling. For cycling routes, marking arrows indicate the direction at each bifurcation. It is important for us to be able to offer our guests the most beautiful routes. 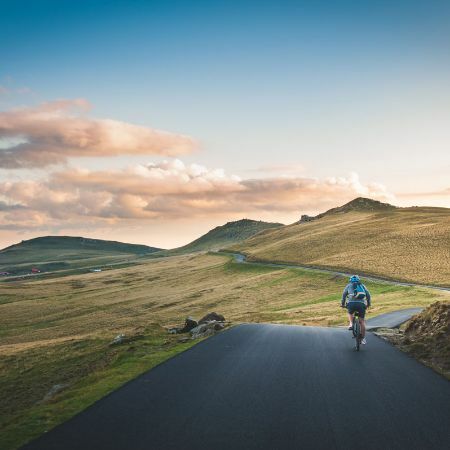 That's why we work extremely carefully on all routes, checking them every year, improving wherever there is scope for improvement and developing new routes that offer even more insight into the land and its culture. Our guests don’t have to worry about anything; we organise the entire trip for them: from a detailed welcome address, detailed travel documentation and route descriptions, luggage transport from one hotel to the other to a 24-hour service hotline. Our guests just need to do enjoy their trip! 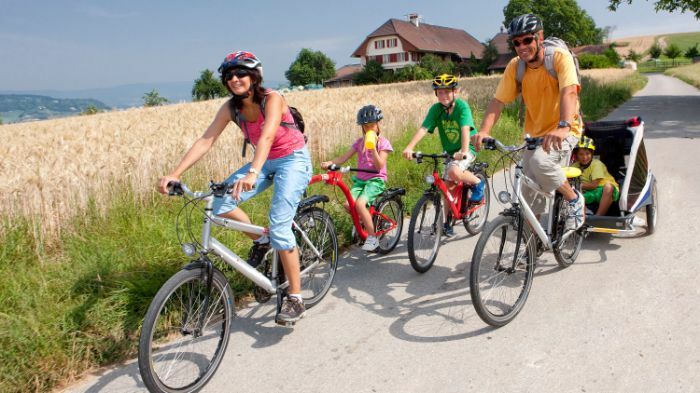 Eurotrek is your reliable partner for active tours. 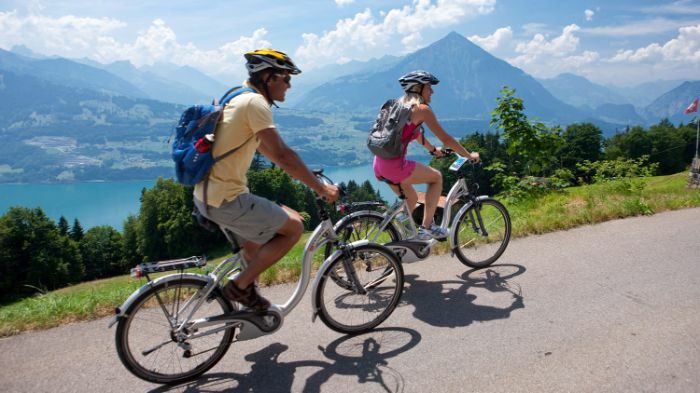 We specialise in cycle tours and hiking holidays in Switzerland.